1876 Indian Head cents are considerably scarce as compared to many issues from the 1880s, 1890s, and 1900s. As coin collectors will notice, these pieces are indeed difficult to locate in wholly original, uncleaned condition, which is by far the most desirable state of preservation for these copper one-cent coins. Of course, finding old copper coins without any corrosion or signs of cleaning is very difficult. Still, original 1876 pennies exist in nice, circulated condition and finding these should be your goal. 7,944,000 Indian Head cents were made in 1876, though only a small number of these exist today in decent, collectible condition. A Good-4 specimen retails for about $30. Proof 1876 pennies, meanwhile, sell for $2,600; 1,150 were made. 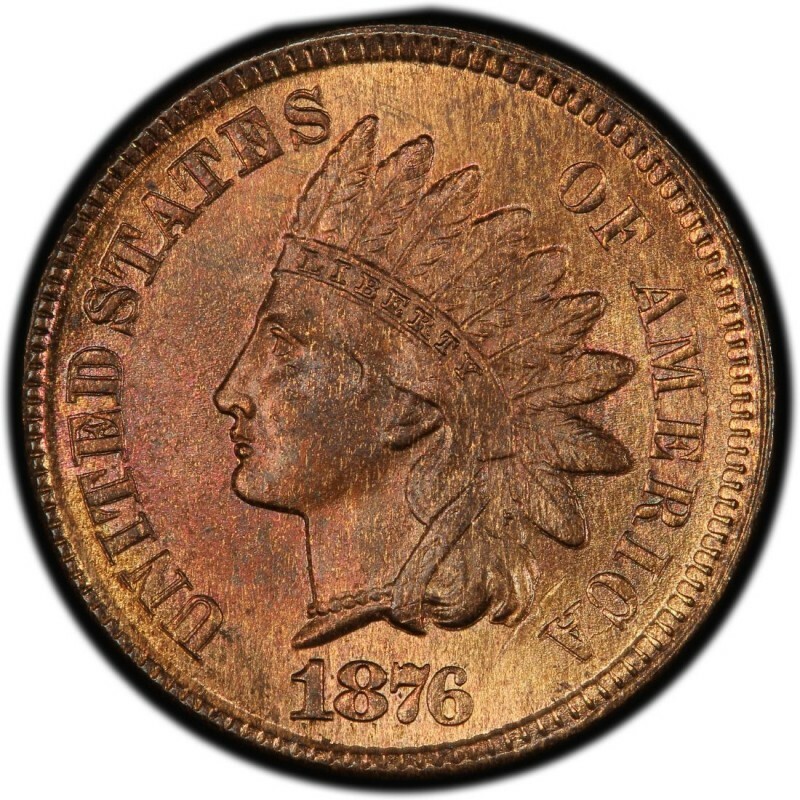 Chief Engraver of the United States Mint James B. Longacre designed the Indian Head penny, which was first struck in 1859. 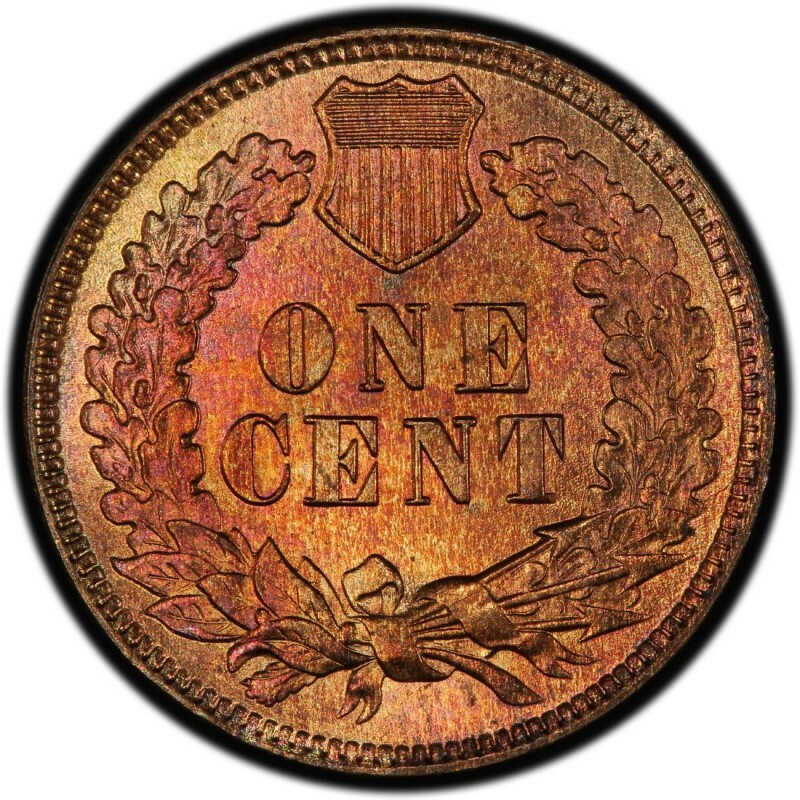 In addition to 1876 Indian Head pennies, he also designed the two-cent piece, which has the distinction of being the first U.S. coin to bear the motto IN GOD WE TRUST. The name “Indian Head” penny is actually a misnomer, since it doesn’t really contain the figure of a Native American at all. The bust is a depiction of Miss Liberty, modeled by Longacre’s own, red-headed daughter, Sarah.